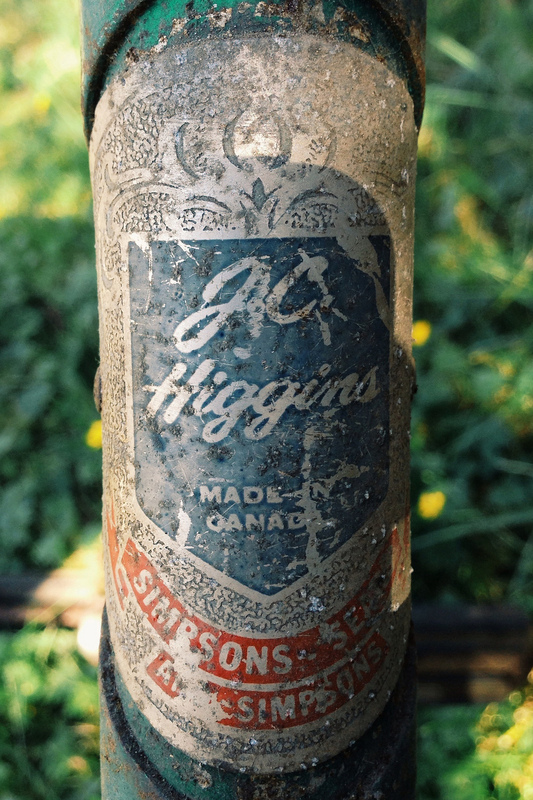 J.C. Higgins was a custom line of sporting goods produced for Sears Roebuck & Co. and it's Canadian counterpart, Simpsons. I found this badge on an abandoned bike frame in front of where I live. The frame is in pretty rough shape, but the badge is quite lovely, especially with the layers of dirt and wear. Only a good vintage logo wears its age so well.